Born in Bournemouth, Meyer began his footballing career with Bristol Rovers, where he achieved a fine goal-scoring record of 60 goals in 139 League games. He joined Argyle in a cash/exchange deal involving fringe player John Timmins, with the transfer fee entirely funded by the Supporters Club. Sadly he could not settle in Plymouth and his form dipped, although he still managed eight goals in just ten League and Cup outings, including at hat-trick at Gillingham in the FA Cup. 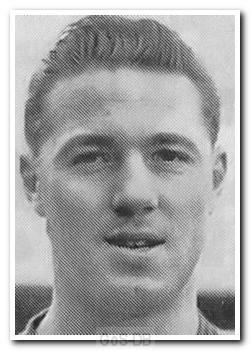 Within months of joining the Pilgrims he looked to return to the Bristol area and was sold to Newport County in early 1959, and had subsequent spells with Bristol City and non-league Hereford United. Meyer also played first-class cricket and for many years was Gloucestershire's first choice wicket-keeper. He saw himself as a cricketer who played professional football when there was no cricket. After hanging up his gloves he became a successful first-class umpire, standing in 26 Tests (including the famous 1981 'Botham' match) and two World Cup finals.